In a previous post we introduced you to Tim Mauri, a marketing manager at Ethicon who designed, built, and executed their Metabolic Applied Research Strategy (MARS) Massive Open Online Course (MOOC), one of the first corporate MOOCs on the Open edX platform. This is the second in a series of posts in which we’ll use Ethicon’s MARS MOOC, available at ethicon.edx.org, as a backdrop for a larger conversation about corporate MOOCs. If you read our last post about Ethicon and their use of the Open edX platform to launch a corporate MOOC as part of its broader marketing strategy, you might be thinking about whether a MOOC might fit into your company’s marketing plans, as well. Below are 5 questions you should ask yourself to determine whether a corporate MOOC is right for you and your organization. 1. Can you establish your company as a thought leader within your industry? In our previous post on this topic, we acknowledged that Ethicon was fortunate to have had a mountain of content from its MARS initiative (a multi-year, multi-million dollar research project), which proved to be a great starting point as they built their first MOOC. You may or may not feel as though you have a mountain of content at your company, but ask yourself this: what unique interest, knowledge, or skill allows your target customers to appreciate the value of your product or service? Your answer to that question should help you to identify a suitable topic for your first MOOC. Ethicon’s MARS MOOC focuses on the science behind obesity and the physiology behind bariatric surgery. As a manufacturer of medical devices used for bariatric surgery, the team at Ethicon understood that its target customers have a keen interest in understanding more about this evolving field of research. Conducting a MOOC about the findings of their MARS initiative positioned Ethicon as something more than simply a medical device manufacturer; it established them as a thought leader in the space, a company that is committed to partnering with the healthcare community to solve the problem of obesity through advancing the science and understanding of the disease. As you assess whether a MOOC is right for your organization, challenge yourself to find a topic that elevates the perception of your brand in the eyes of your customers. 2. Does your company currently conduct in-person conferences, seminars, or workshops? Medical device companies like Ethicon allocate significant funds each year to train and educate their customers. These training programs are often full-day seminars that consist mainly of lectures and demonstrations given by experts – the so-called “sage on stage” approach. Before launching their MOOC, for example, Ethicon was educating healthcare professionals about its MARS initiative through a traditional approach – they’d assemble a group of 40-50 people in a large conference room, and then the lead MARS investigators would lecture from behind a podium, lights dimmed, laser pointer in hand, spending the better part of two days working their way through a series of PowerPoint presentations. Recent research, however, suggests that the lecture approach is decidedly ineffective, that an “active learning” environment results in greater learner retention. One of the great advantages of the Open edX platform that Ethicon used to create its MARS MOOC is that it was designed with active learning in mind. Rather than being subjected to a barrage of 45-minute lectures, learners continuously engage with the content – a crisp 5-minute “mini-lecture” video is followed by a problem to solve or a discussion prompt, for example – which just might improve learning outcomes. It may seem counter-intuitive to suggest that online learning could match or even surpass the quality of the experience of learning in-person, but as a student in the MARS MOOC myself (yes, I audited the course! ), I can testify that the format was more engaging than it would have been had I been subjected to a 2-day lecture-based course covering the same content. 3. Does your company have a product or service that is complex or requires certification? If you answer “yes” to this question, your company is a natural fit for a MOOC. In the case of a complex product, the MOOC can act as the platform through which people acquire the knowledge or skills necessary to use it. Ethicon used Open edX to educate on the complex science behind obesity, but it could just as easily have offered a MOOC on the technical aspects of the surgical procedures in which its products are used. Similarly, some companies offer products or services that require certification in order to use or perform them. In that case, the MOOC becomes the channel through which learners access the information they need in order to earn their certification. The Open edX platform gives course authors the flexibility to set criteria for certifying their learners. 4. Are your potential customers geographically diverse? 5. 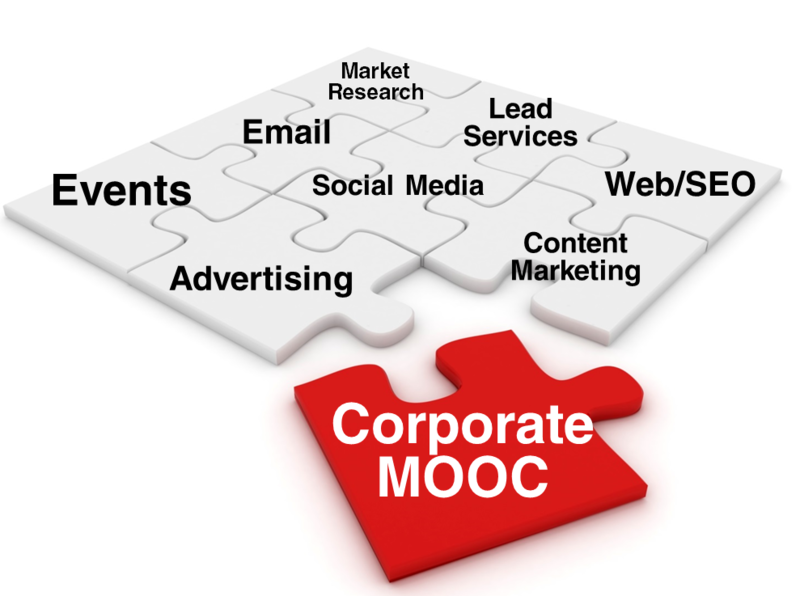 Can your company allocate the budget and time necessary to build a quality MOOC? How much does producing a MOOC cost? That depends largely on the production value of the video segments that you include, but a low 6-figure number can be expected. This Boston Globe article reports that HarvardX spends between $75,000 and $150,000 developing each MOOC that it launches on edX. Tim wasn’t as forthcoming about how much Ethicon spent to create the MARS MOOC, but he didn’t wince at the figures cited in the Globe article. He’s quick to point out, however, that although the cost to create the MOOC may have been higher than other possible content marketing strategies, he’s hopeful that it will prove to be more effective than other less costly options. It’s also useful to compare the cost of a MOOC to that of in-person educational events. Tim proudly points out that the MARS MOOC attracted more than double the number of participants that Ethicon was able to attract in the combined previous 3 years of conducting in-person MARS educational events around the globe, and at a fraction of the total cost. Looked at from this perspective, it is easy to justify the price tag associated with creating a MOOC. Stay tuned for further posts on Ethicon’s MARS MOOC, including a retrospective look at the course’s success. If you have any questions for Tim, feel free to write in the comments below. Tim Mauri is an employee of Ethicon, part of the Johnson & Johnson family of companies, but the opinions he expressed in this article are his own, and do not necessarily reflect those of his employer.